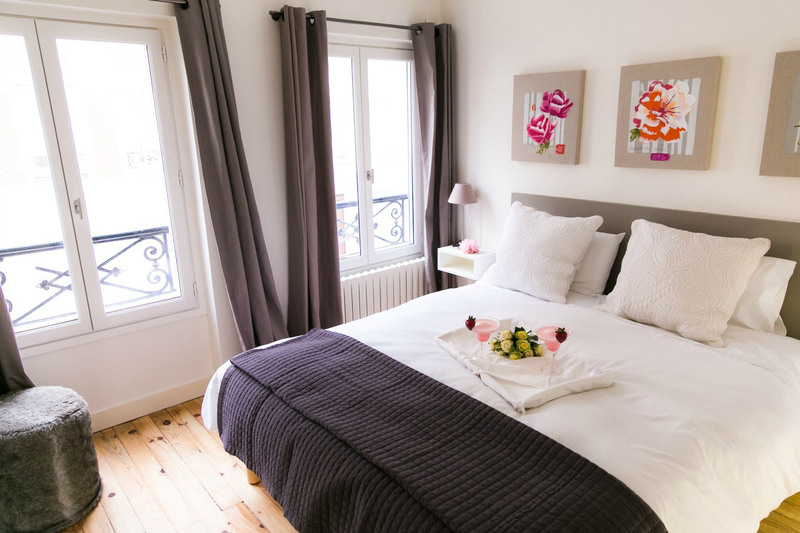 "This is a very well situated, comfortable apartment right on the Rue Cler, with wonderful food, fashion and souvenir shops just steps away. We were able to easily walk to all Paris attractions, the Eiffel tower 10 minutes away, Louvre and Notre Dame 20 minutes away (walking with children). We were greeted on time by a very informative and pleasant greeter who gave us all the information we needed. The apartment was warm with excellent beds and a well equipped bathroom and powder room. The kitchen was modern and had all amenities, we also appreciated the well equipped laundry (fantastic dryer). The apartment was secure and very quiet at night, with security blinds on all windows and a deadlocked front door. There are fairly steep stairs up to the bedrooms and down to the laundry but these were easily managed by all members of the family."